The map range: Oświęcim to the east, Żory to the west, Goczałkowickie Lake to the south. 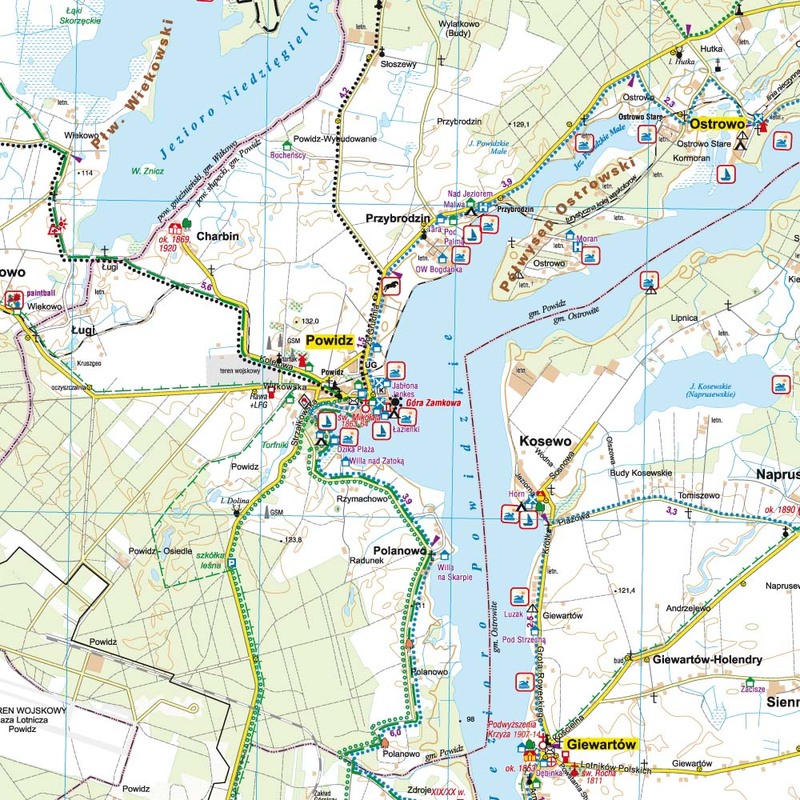 The map presents information useful for tourists, walking and cycling trails, tourist attractions. The most interesting places are highlighted with a yellow frame.